The course is part of MA study at the Swedish School of Textiles. It will be possible to arrange a credit for PhD students. If you are interested in joining the course, please contact Hanna Landin (hanna [dot] landin [at] hb [dot] se), who is a MA study coordinator at the Swedish School of Textiles. Making-of: We will look into some of the projects (i.e. Intimacy, Laser Dress, Perfect Human) to learn how e-textile projects are realized. 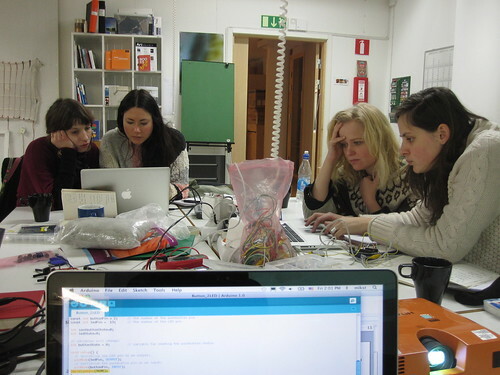 December 19, 2011 | Filed under News, Workshops.